Russian President Vladimir Puti said that this 15-km-long 25-km wide zone will be in force from October 15. Turkish troops supporting Turkish troops and insurgents supporting Turkey will be in patrol in this space zone. The UN warned of a humanitarian catastrophe if the military initiated a military operation to restore the repatriation regulator. 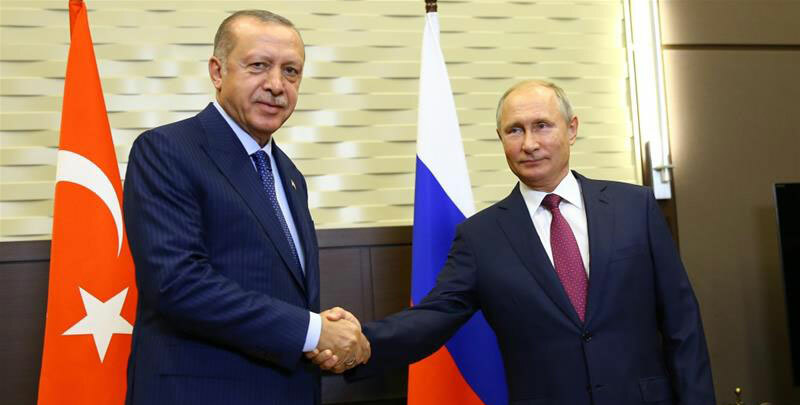 Russian President Vladimir Putin and Turkish President Recep Tayyip Erdwu have agreed to avoid such an operation, as they met in the last Saturday in Sochi. Under the agreement, the Russian president said that the rebels should withdraw all heavy weapons, including the tank, the rocket launcher and the mortgage liner, from the 10th of October. It is not confirmed whether this area is in the province of Itlif. "We will block a humanitarian convention of military action," Erdouan said. Itlib is the last bastion of the rebels who have been fighting for the past seven years to defeat the Syrian President Bashar al-Assad.